You can either think of the sixth Harry Potter movie as being slow-paced and low on action, or you can think of it as spending more time on characterization and plot. We’d like to think of it as the latter . . .
A recent Empire magazine preview called the latest Potter installment both “funnier and scarier.” This is quite accurate. On the one hand Harry Potter and the Half-Blood Prince spends time on the sort of character asides and comical interludes that most directors will leave on the cutting floor. Yet on the other hand a creeping sense of foreboding and gloom hangs over the proceedings. From the get-go author J.K. Rowling wrote from the assumption that her readers will grow up along with her characters. The truth is that these movies had been getting progressively darker with each new film. Sure, Harry Potter and the Half-Blood Prince won’t exactly freak out adult audiences and by “darker” we don’t mean that Harry started snorting coke or something – the point is that parents should heed the age restriction. Half-Blood Prince has a few of the sort of scenes that would give little children nightmares for weeks to come. "Doesn't disappoint in the way that, let’s say, Police Academy 6 - City Under Siege ever did . 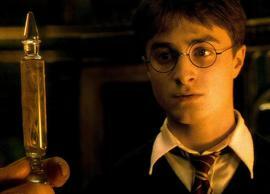 . ."
Harry Potter and the Half-Blood Prince clocks in at two-and-a-half hours. We found it took us a while to get into things, but once we did it was gripping enough right up to the genuinely moving ending. Not much really happens when one thinks about it. After all, Rowling’s original book serves as nothing but a setup for the final book in the series (Deathly Hallows, which will be filmed as two separate movies). Also, the acting isn’t always consistent, but the movie has heart which is more than one can say of most special effects blockbusters. Still despite the generous running time - fifteen minutes longer than Harry Potter and the Order of the Phoenix! - the movie feels almost too economical. One wants it to spend more time on plot aspects such as Alan Rickman’s “is he or isn’t he?” villain, especially considering how pivotal his character’s loyalties are to the plot. One also wants some more scenes featuring the trio of Death Eaters led by the demented Bellatrix played by Helena Bonham Carter. Proceedings suffer from the absence of an off-screen villain to boo and hiss. The previous film had Dolores Umbridge – a camp schoolmarm version of Nurse Ratched. Here Voldemort appears as a, er, threatening cloud formation. Bellatrix and her Dead Eaters could have been this movie’s General Zod and fellow Kryptonians, but it was alas not to be. Maybe the upcoming Harry Potter and the Deathly Hallows Part I (release date: 19 November 2010) and Part II (15 July 2011) will make more of them. If your idea of the best possible time at the cinemas is the audio-sensory pummeling of the Transformers 2: Revenge of the Fallen variety, then you might be disappointed by this latest Potter instalment. If you’ve been loyally following the movies and / or reading the books then Harry Potter and the Half-Blood Prince is a worth-while entry in the series. Maybe their secret has been that each of them has been faithful to the source material. (That, and the fact that their box office takings remained high which means that their budgets have never been cut back drastically as is usually the case with sequels. The special effects and sets are again of high quality.) Few movie franchises remain of a consistently high quality this long (six movies!) and it is amazing that the series hasn’t truly managed to disappoint in the way that, let’s say, Police Academy 6: City Under Siege, Friday the 13th Part VI – Jason Lives and Halloween 6 – The Curse of Michael Myers did. Some notes: they may be corny but we kinda missed those “Previously on Battlestar Galactica” intros with this movie. Just a short montage to get one up to speed again with what exactly happened in the last movie. After all it has been about two years! Also, we expected an end title announcing that “Harry Potter will be back in Harry Potter and the Deathly Hallows – 2010” to pop up at the end just like those old James Bond movies. It was alas not to be. 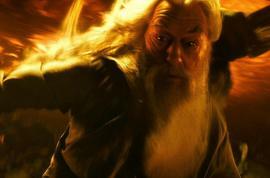 Read more about the upcoming Harry Potter and the Deathly Hallows Part I (2010) & Part II (2011).